The San Diego Association of Governments will kick off a series of workshops Monday to gather ideas from the public about what they want in the future of transportation for the region. 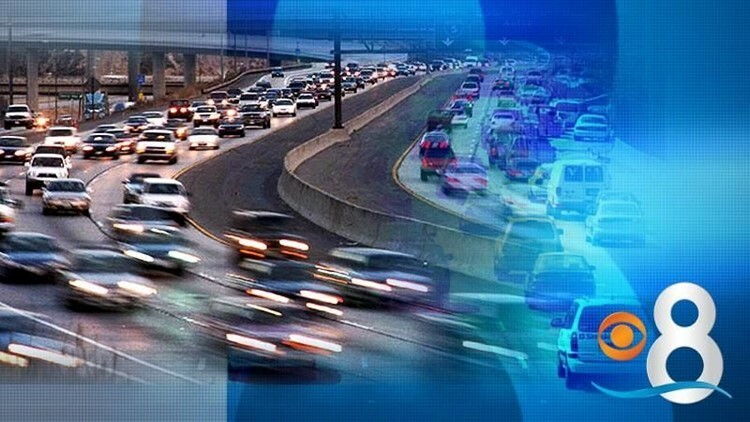 SAN DIEGO (CNS) - The San Diego Association of Governments will kick off a series of workshops Monday to gather ideas from the public about what they want in the future of transportation for the region. The workshops are scheduled at seven locations around San Diego County and are being used to help regional planners as they draft the components of "San Diego Forward: The 2019-2050 Regional Transportation Plan." The plan will help identify infrastructure needs over the coming decades and serve as a road map for future projects. Two workshops will be held Monday, April 23 at 11:30 a.m. and 5:30 p.m. at Caltrans District 11, Garcia Auditorium, 4050 Taylor St. in Old Town. "We want the public to participate and share their ideas during this planning process," said Terry Sinnott, chairman of the SANDAG board and Del Mar councilman. "SANDAG is committed to engaging residents of the San Diego region throughout the development of the Regional Plan because it helps guide us in deciding where to invest funding resources for projects that we and our future generations will enjoy." Among the factors considered by planners in drafting the plan are projected population change, climate change, public health, jobs, housing and emerging technologies, according to the agency.